Canadian sales of passenger cars overall are sliding at a measurably faster rate than compact cars, the biggest segment in the Canadian auto industry’s car sector. Compact cars slid 4% in January 2017, a modest decline of 734 units for a segment, but a modest decline that follows consistent declines in previous years, as well. The Honda Civic, Canada’s best-selling car overall, fell 10% in January. Its traditional top rival, the Hyundai Elantra, was down 20%. 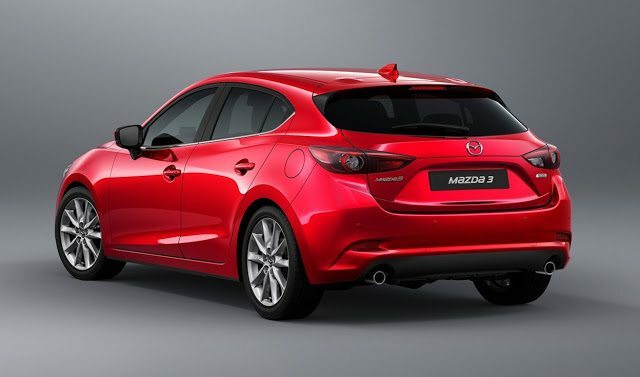 January’s number two compact, the Toyota Corolla (including the Scion iM-turned-Corolla-iM), was up 16%, and Mazda 3 volume jumped 12% for its first monthly year-over-year gain since September 2014. Among subcompact cars, where sales fell 24%, the Hyundai Accent continued as leader despite a 2% drop. A new Accent will debut at the Canadian auto show in Toronto today. Other than the Nissan Versa and Chevrolet Sonic, every subcompact car posted declining volume in January. 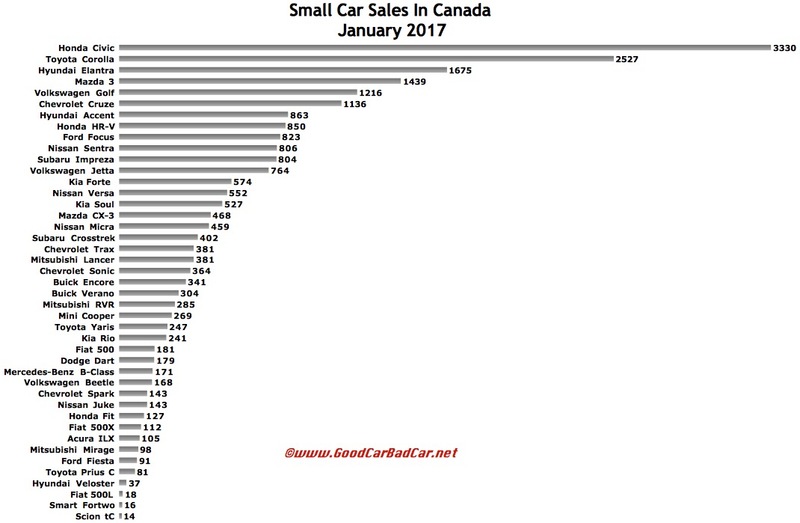 Yet Canadian auto sales grew to the highest level ever. Thank models such as the Honda HR-V and Buick Encore, and especially the growth reported by their larger crossover cohorts. You can click any model name in the tables below to find historical monthly and yearly Canadian auto sales data. You can also select a make and model at GCBC’s Sales Stats page. These tables are now sortable, so you can rank small cars of all kinds any which way you like. Suggestions on how GCBC should break down segments can be passed on through the Contact page. Mobile users can now thumb across the tables for full-width access. * indicates a vehicle which is also shown in another GCBC segment breakdown. GCBC isn’t here to break down segments, an impossible task for any group, but to display sales data for the sake of comparison. The more ways sales data can be displayed, the better. This explains why you’ll see the Encore and XV Crosstrek are listed with small SUVs, too, and the Acura ILX shown with mainstream cars is also displayed with luxury cars, because readers have wanted it both ways. You can always find the sales results for EVERY vehicle and form your own competitive sets by using the All Vehicle Rankings posts.